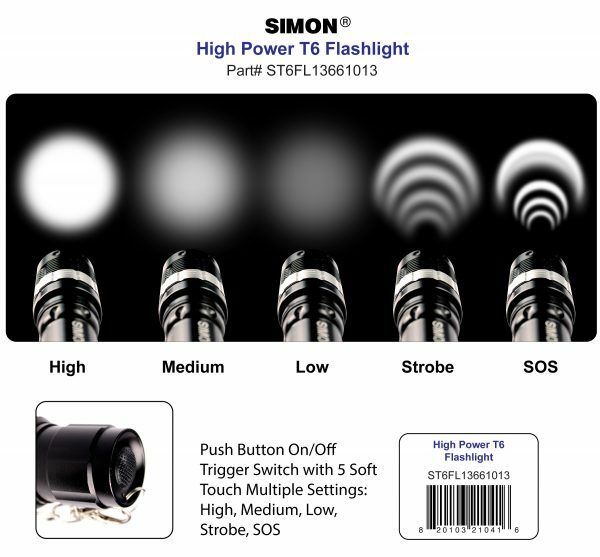 The Simon High Power Flashlight T6 Pro is designed to be a full-service adjustable multipurpose CLOSE PROXIMITY flashlight using a light emitting diode chipset or better known as a Cree LED bulb. 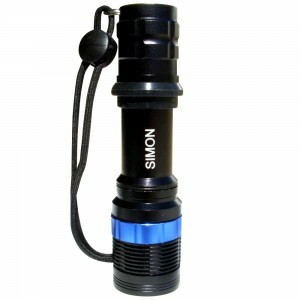 This Close Proximity light works in tight areas of 40 feet or less. The Simon T6 pro is not designed to be the cure all LED Flashlight but it sure does take a big bite out of solving most daily tasks by professionals. 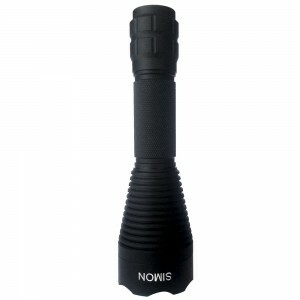 It is an essential tool used by professionals in law enforcement and military to temporarily blind and or impair vision of an assailant so that a situation doesn’t escalate. It small frame allows it to be hand-held or tactically mounted on a weapon with specially designed hardware. The Simon Cree LED Flashlight max mini size only weighs around 8 oz. or 227 grams and fits comfortably in the palm of your hand. It heavy enough to know that you are carrying it but light enough that it won’t weigh you down. 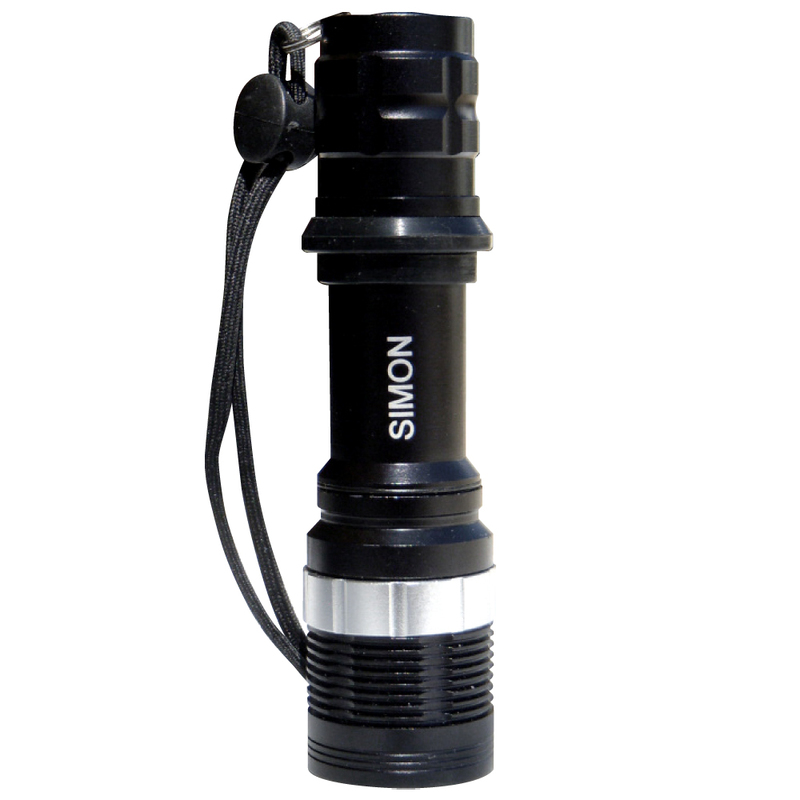 The rugged design is made from 6061 aircraft grade aluminum anodized black body with a silver anodized focus dial ring and is durable and tough for long-lasting use. 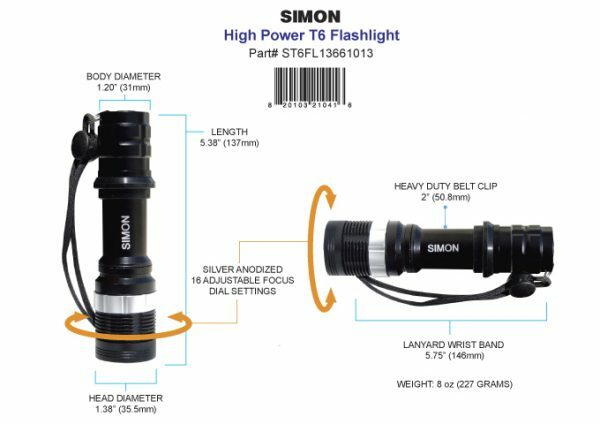 The High Power LED Police Flashlight has a slim ergonomic design to function with a wide range of 16 adjustable dial settings to focus the light tight or to expand to a broad fan. This feature was recommend by law enforcement agents and detective in the field. The rear push button on/off trigger switch with 5 soft-touch multiple settings which include: High, Medium, Low, Strobe and SOS lighting. Make it work in a wide variety of situations. Also included is a squeeze and slide adjustable lanyard wrist band so that you can easily tote it anywhere. 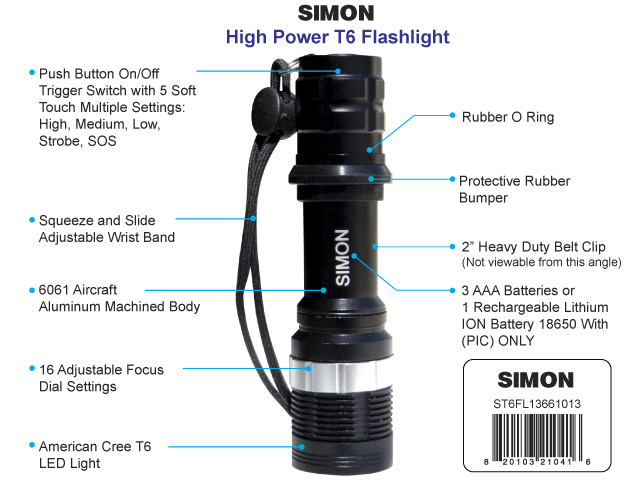 CLICK HERE to BUY your Simon Cree LED Flashlight T6 Pro NOW!